Why does Lucid Absinthe have cat eyes on the bottle? Some Lucid fans have asked why the bottle has cat eyes. The idea of using the cat’s eyes came from the world’s first cabaret, called “Le Chat Noir,” which opened in Montmartre, Paris in 1881. “Le Chat Noir,” which translates to “The Black Cat,” was a bustling nightclub, artists’ salon, and music hall. People from all over the world relaxed at tables while drinking absinthe and watching a show on the stage. Over a hundred years after its closure, Le Chat Noir remains famous not just for the cabaret but for its poster art. 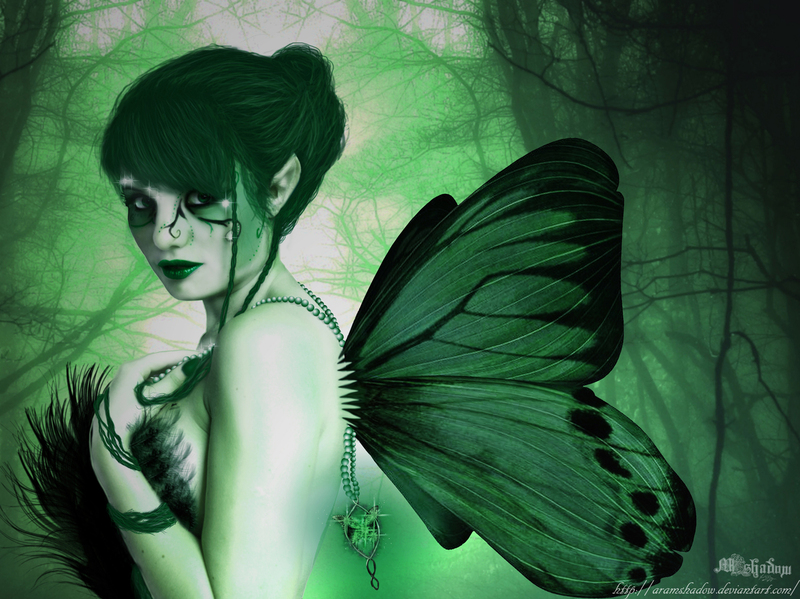 And that poster art is the inspiration behind Lucid Absinthe’s cat eyes. 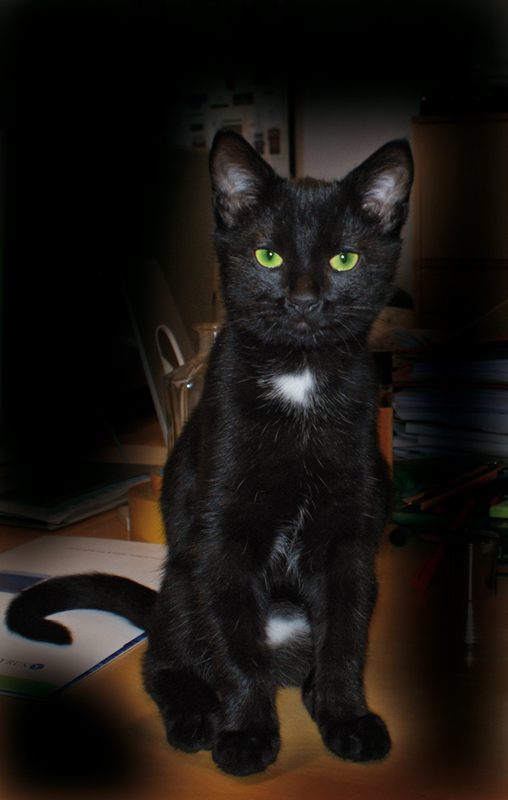 Lucid Absinthe fans know the truth: Four cat eyes are better than two. Is your sweet tooth craving? Try these delicious absinthe sweets. If you are handy in the kitchen, then try baking cookies with a Lucid Absinthe glaze. The awesome recipe is here. For those of you in the U.S., Nunu Chocolates makes the popular Absinthe Delight chocolate, available here. Another option for anyone in the U.S. craving chocolate is Artemisia’s spicy absinthe chocolate. If you live in the European Union, you can purchase Villars Swiss absinthe chocolate, consisting of 8.5% absinthe. In another Old Fashioned glass, moisten the sugar cube with just enough water to saturate it, then crush. Blend with the whiskey and bitters. Add a few cubes of ice and stir to chill. Discard the ice from the first glass and pour in the Lucid Absinthe. Coat the inside of the entire glass, pouring out the excess. Strain the whiskey into the Lucid Absinthe coated glass. Twist the lemon peel over the glass so that the lemon oil drips into the drink, then rub the peel over the rim of the glass; do not put the twist in the drink. Paul Verlaine is one of the most famous and talented French Symbolist poets. 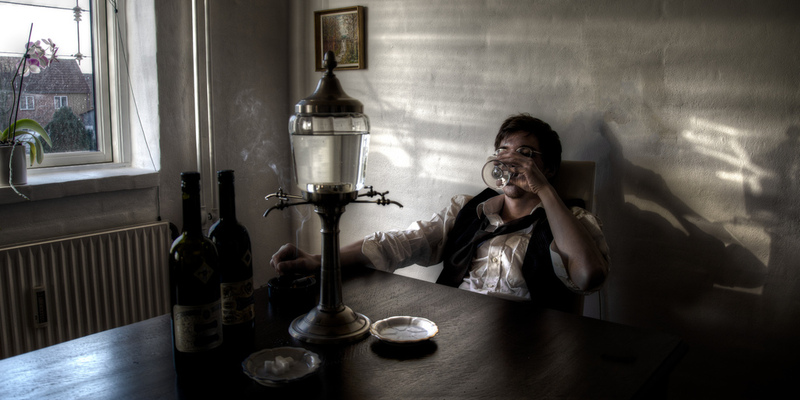 Here is a photo of Verlaine drinking absinthe in the Café François 1er. The photograph was taken in 1892 by Paul Marsan Dornac. It looks much better when clicked on and viewed at a larger resolution. Verlaine was immortalized by his painter friends, who painted portraits of him during various stages in his life. Below is a portrait of Verlaine painted by Eugène Carrière. Verlaine was also painted by Frédéric-Auguste Cazals, Théophile Alexandre Steinlen, Henri Fantin-Latour, Antonio de la Gándara, and Gustave Courbet. In a cocktail shaker, muddle the fruits thoroughly with absinthe, cachaca, brandy and orange liquor. Pour drink in wine glass. Float red wine on top of cocktail. Lucid Absinthe is made in the inner still room at Combier Distillery in Saumur, France. This room was designed around the year 1850 by engineer Gustave Eiffel. Mr. Eiffel is the same engineer who designed the Eiffel Tower. 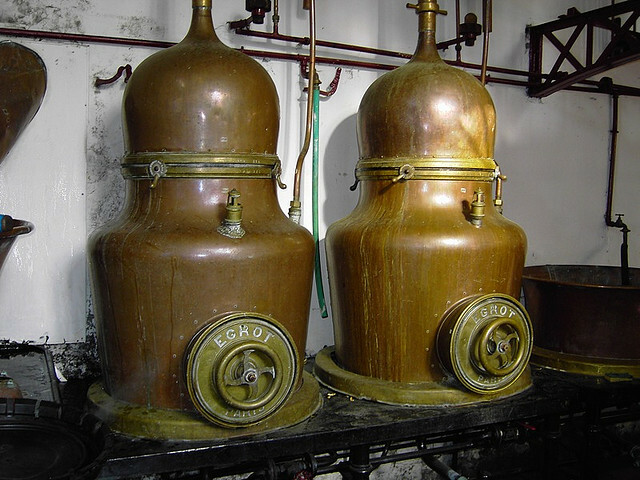 Lucid Absinthe is made with fresh herbs in these Combier Distillery alambics from the 1800s. Making Lucid Absinthe is hard work, but somebody’s gotta do it. And nobody does it with better craftsmanship than Ted Breaux, Lucid Absinthe’s creator and distiller. 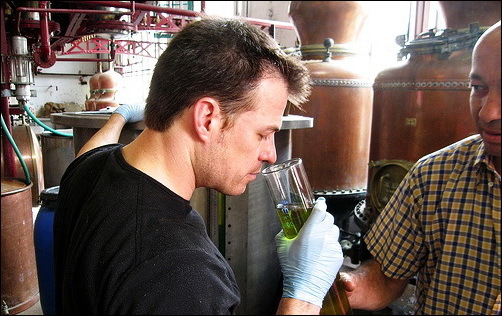 While preparing Lucid Absinthe, Ted Breaux must check its fragrance of fresh herbs to make sure it is just right. The beautiful home of Lucid Absinthe. Thank you, Mr. Eiffel. We all know your tower, and we appreciate this less-known room just as much. Why are we posting so much about the history of Combier Distillery? The man who built Combier distillery, Jean-Baptiste Combier, was born in 1809. In 1828, Jean-Baptiste Combier moved to Saumur, France, due in part to its fertile soil. This is where he built the Combier Distillery, where Lucid Absinthe would be made one day far in the future. In 1850, the French architect Eiffel — who would later gain worldwide renown for designing the Eiffel Tower — designed the inner still room in the Combier Distillery. This is the same room where Lucid Absinthe is made today. In 1853, Jean-Baptiste Combier was found guilty of slandering the monarchy and was locked up in a prison cell. The man with whom Combier shared his cell also happened to share his passion for good alcohol, and the two men passed the time by sharing and inventing recipes for drinks. In 1879, Combier’s son, James, became mayor of Saumur. He previously helped to modernize Saumur with street lighting, plumbing, and a train station. In 1917, James Combier died. 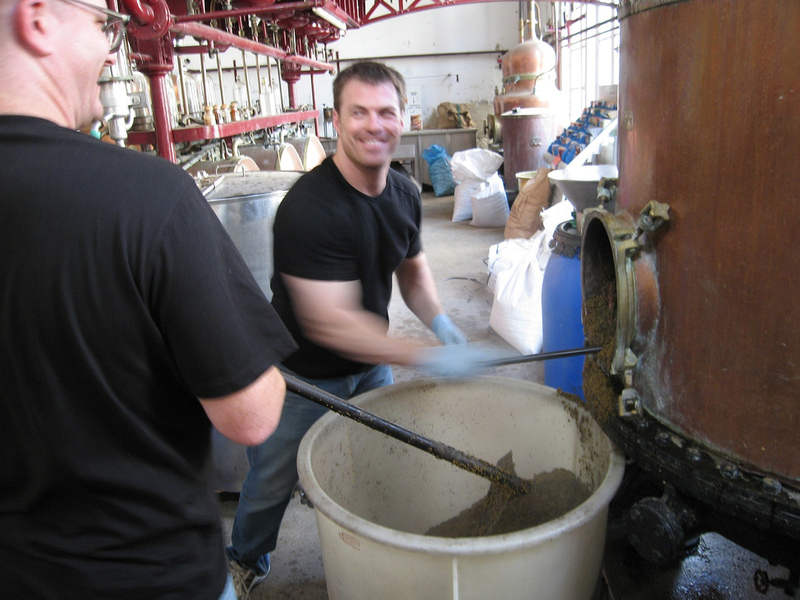 His son, Andre, and step-son, Jules, took over Combier Distillery. In 1966, the Combier Distillery was bought by the Bollinger Group, one of the most highly regarded French champagne houses. 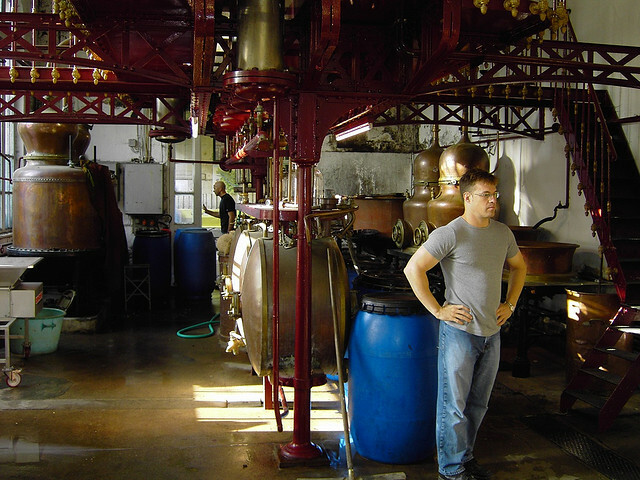 In 2001, Combier Distillery was sold to its director, putting it back in independent hands, where it remains to this day. Add all the ingredients to a glass filled with ice. 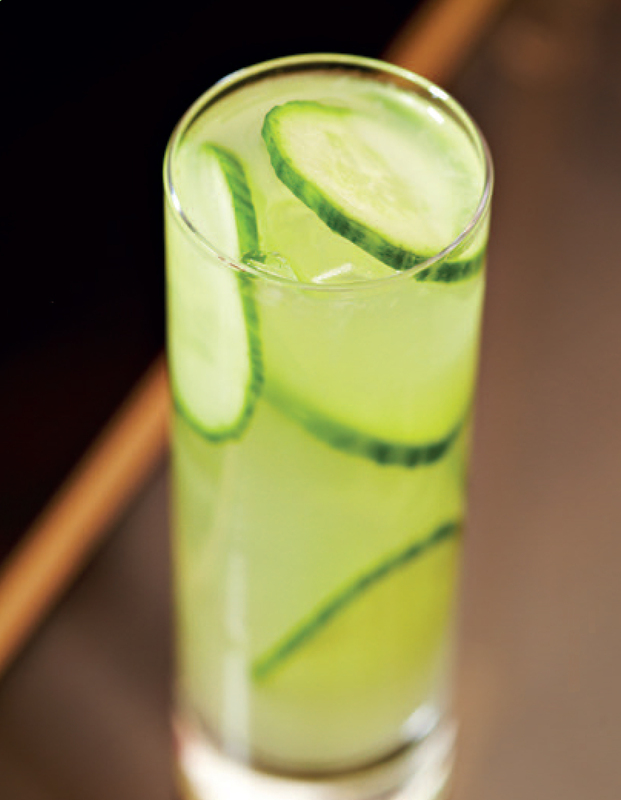 Garnish with cucumber slices and stir.